You want the best Garmin running watch deals? We got 'em. Garmin running watches are the best running and fitness watches you can buy. But don't just take my word for it, read our guide to the best running watches, where you will find Garmin Forerunner watches sitting pretty in the top spots. Garmin hasn't updated its line for ages but it finally has some new devices ready to roll. However, those older watches are still excellent and we are starting to see some really good deals on them. Such as these ones, from renowned bike-and-run retailer Wiggle.com. 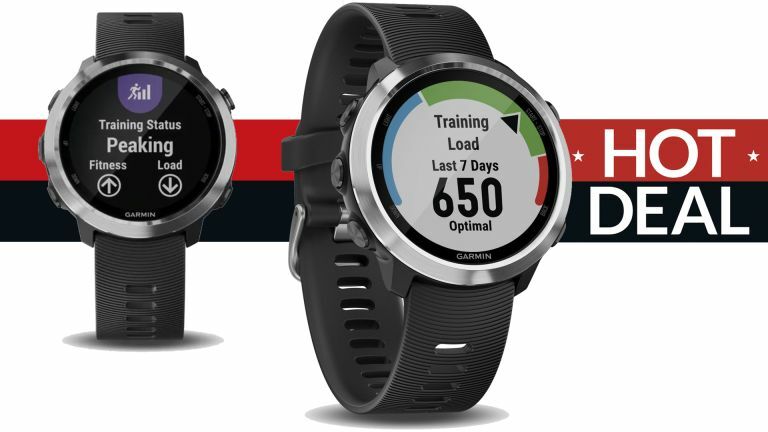 In truth, Garmin is slightly the victim of its own success because while the new watches it'll release this year will no doubt be slightly better in various ways, it's hard to see them majorly topping the current Forerunner range. Any improvements are also likely to be limited to tracking power whilst running – which is nice but not essential – and more high-end/obscure metrics that are of minimal use to the majority of runners and gym goers. So, to put it another way, although some of these watches are old in gadget years, they are still well worth getting, when the price is right, as is the case here.